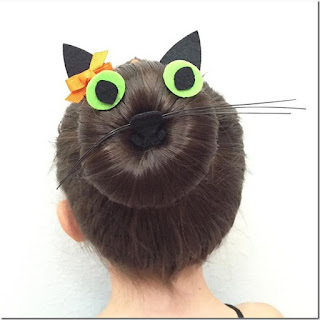 Home Beauty Family family budget family fun halloween halloween costumes PRO TIPS For HALLOWEEN Hair + Makeup For You And The Kiddos! 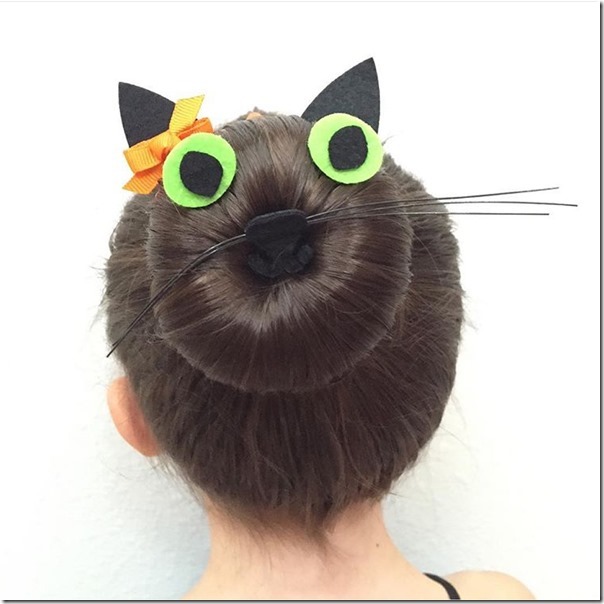 PRO TIPS For HALLOWEEN Hair + Makeup For You And The Kiddos! 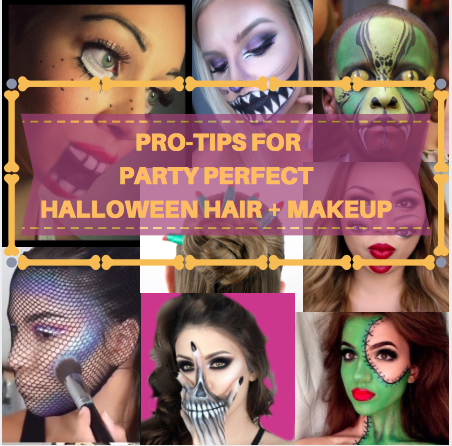 Whether you're going for super scary, super cute or super slutty, these Pro Tips For Party Perfect Halloween Hair + Makeup are super easy to pull off. 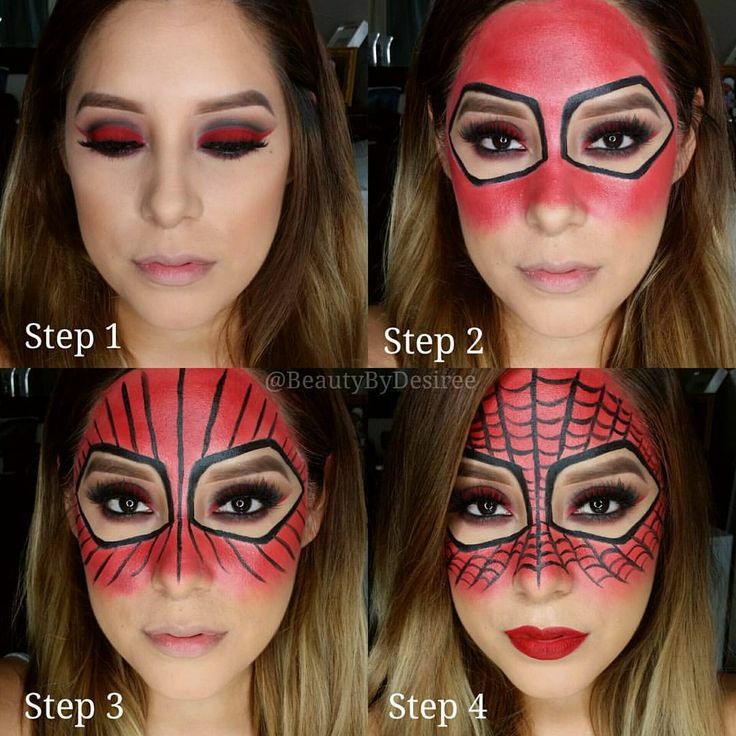 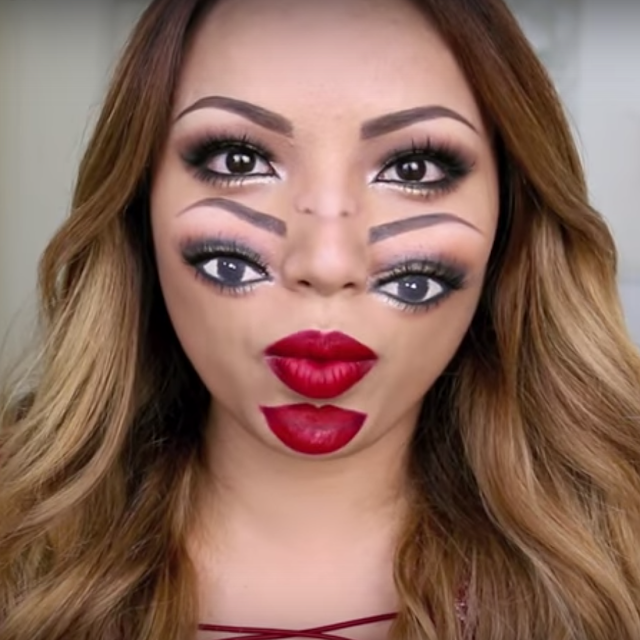 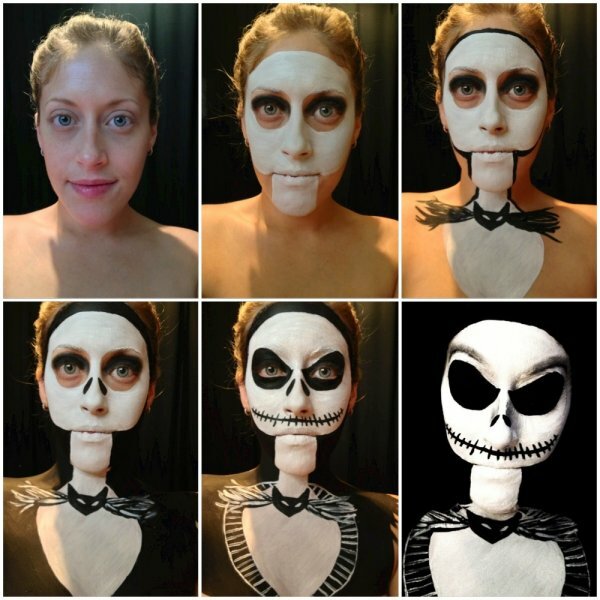 These makeup ideas are so cool and so easy! 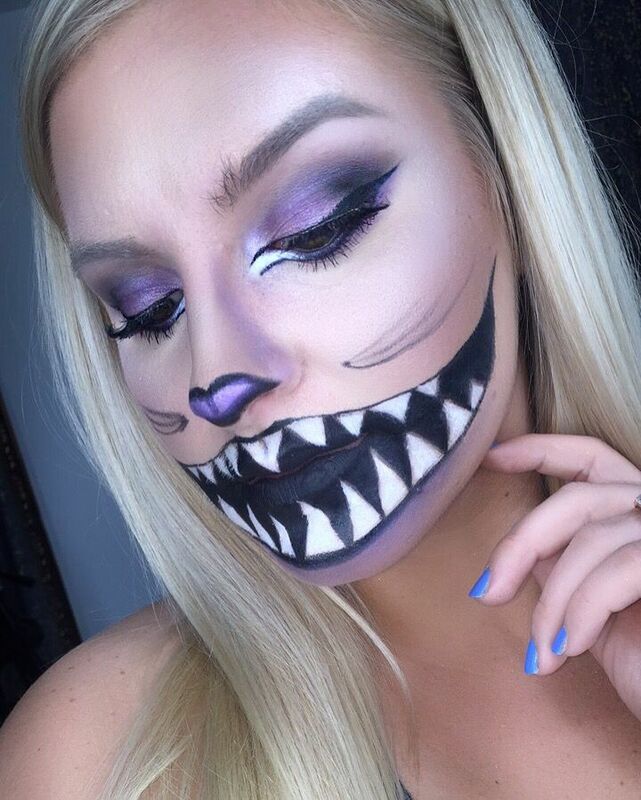 For a closed, big mouth Cheshire Cat look, use your natural line as a guide. For an open mouth, use your upper lip line and chin as a guide! 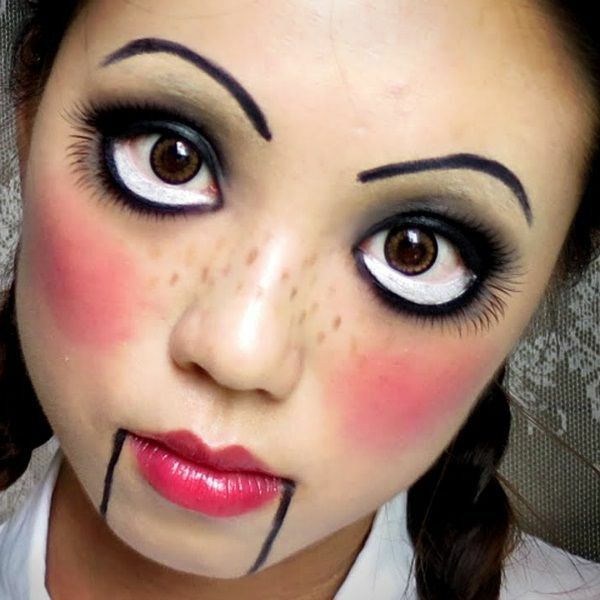 For cartoon eyes, use white to draw a large outline under your lower lash, finish the look with fake eyelashes. 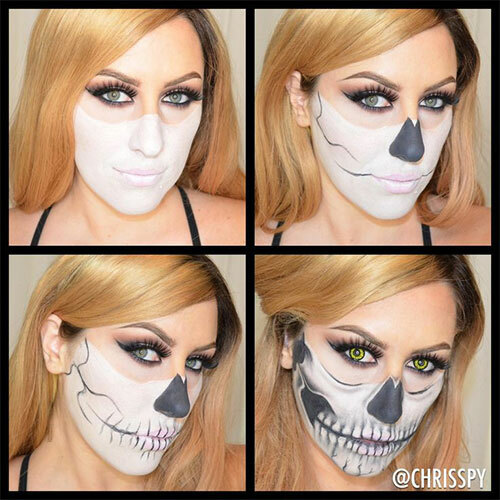 Use liquid eyeliner to make precise lines, that last! There are so many colors available today, the possibilities are endless. 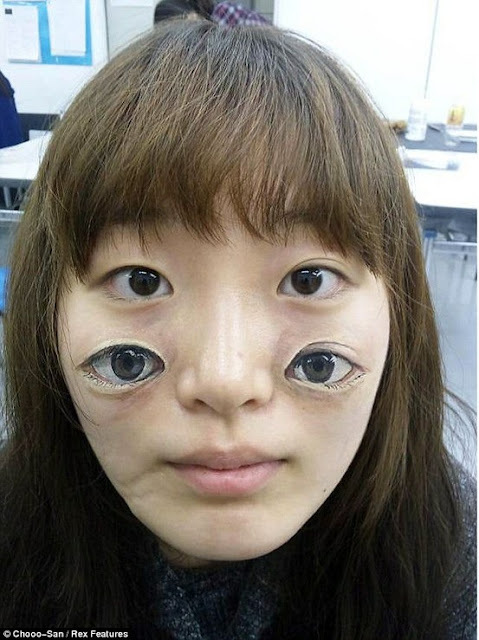 For the crazy eye look, without wearing irritating contacts, incorporate design on eyelids. 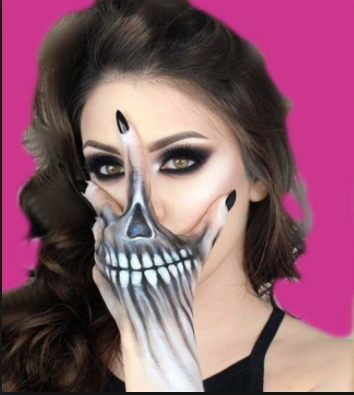 Hold closed for photos and shock factor. 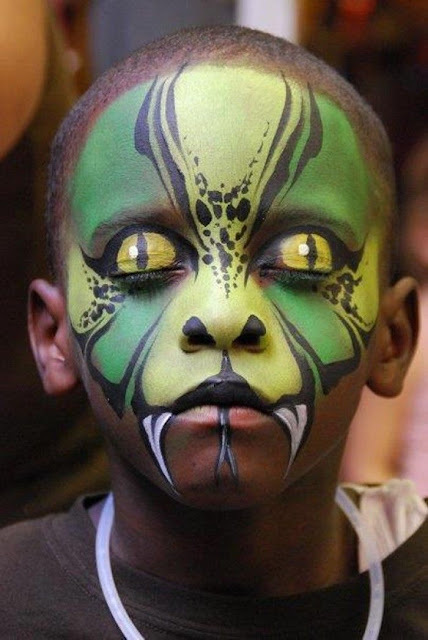 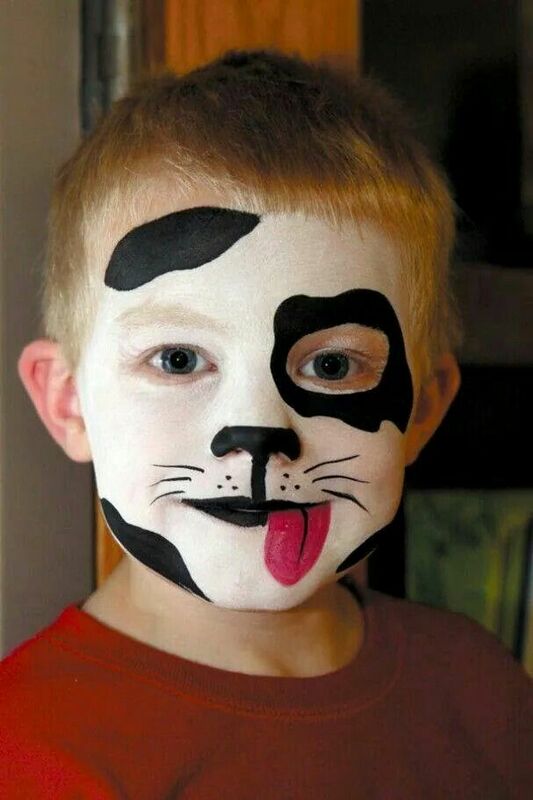 Make sure the makeup you use is safe for little faces. 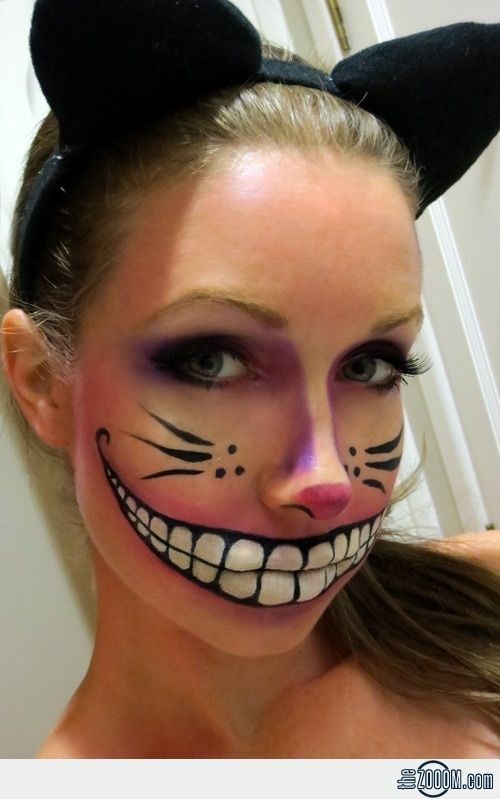 Crappy makeup can end a Halloween before it starts. 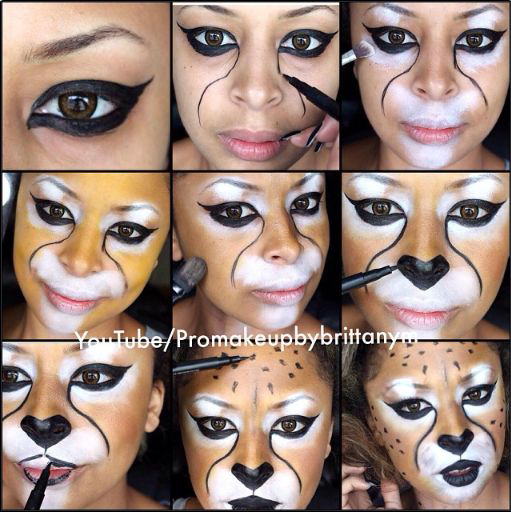 Now that the basics are out of the way, here are a few tutorials that look complicated, but are so easy to recreate! A Skeleton perfect for boys and girls! 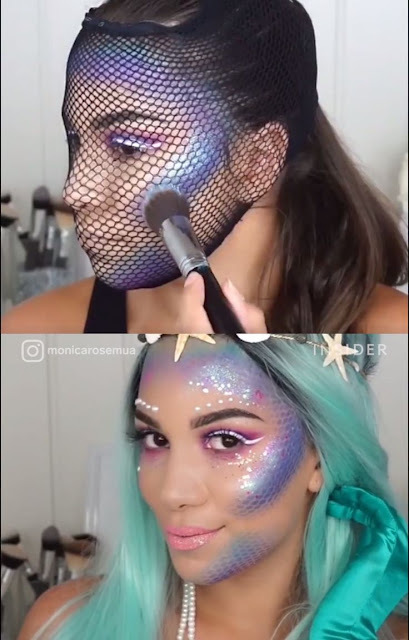 Need a look that you can go from work to party, fast? 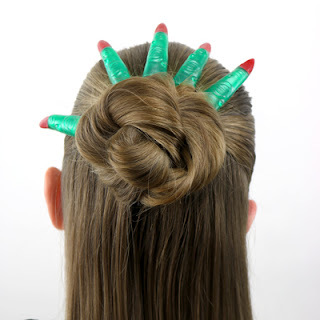 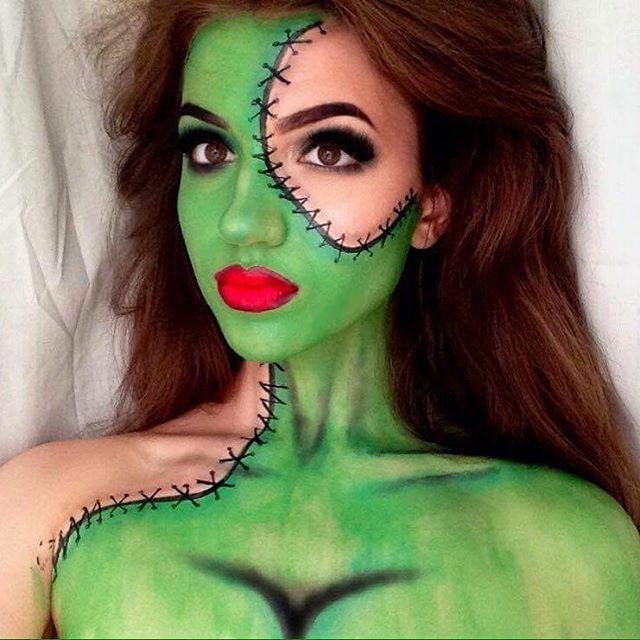 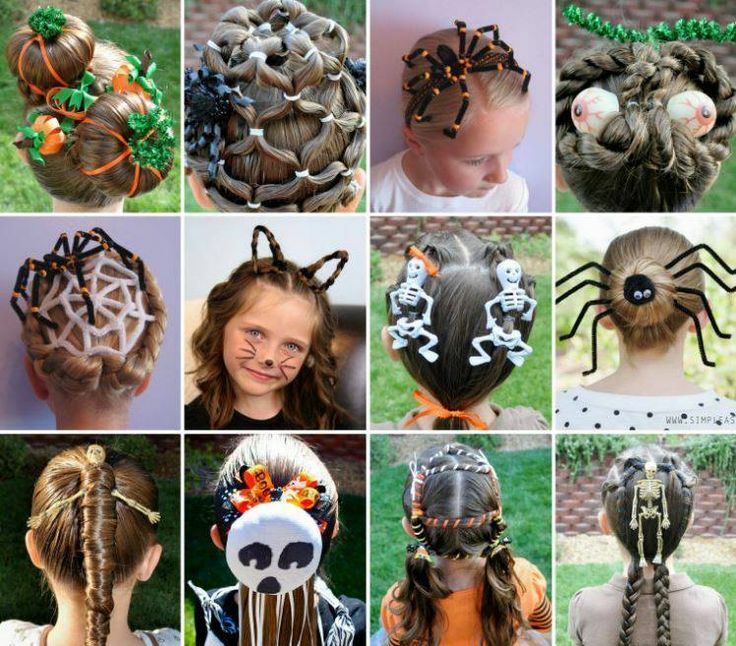 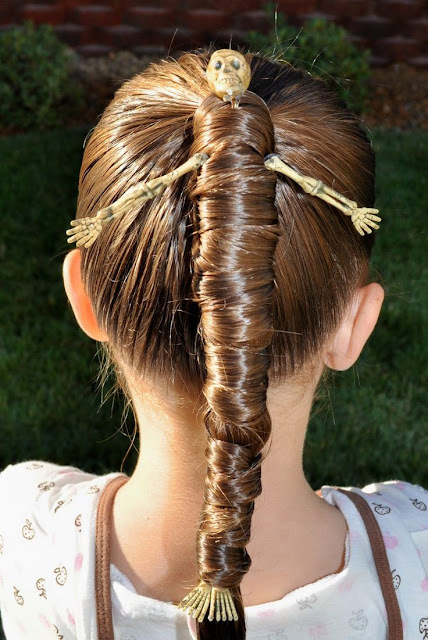 These Halloween hairstyles will scare, mystify and even melt a few hearts. 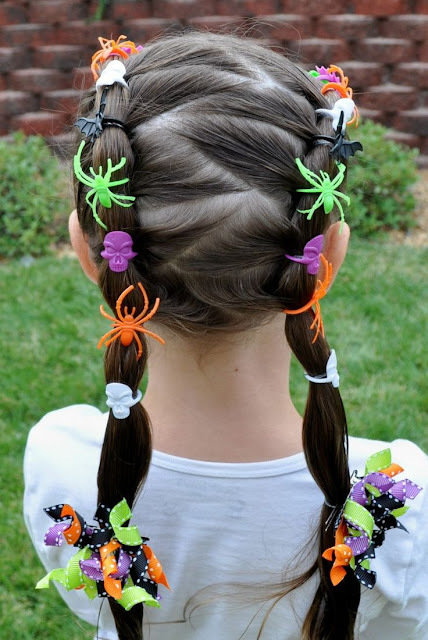 Create a ponytail, then wrap a mummy, spider, doll... you get the point. 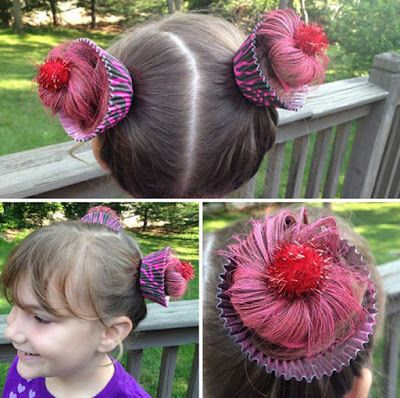 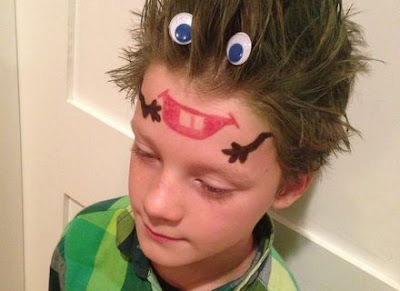 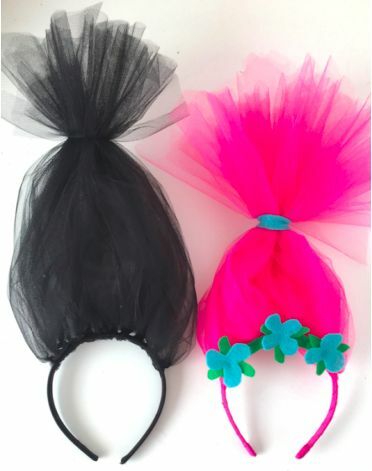 Tie strips of tulle to a plastic headband for homemade Troll Hair!